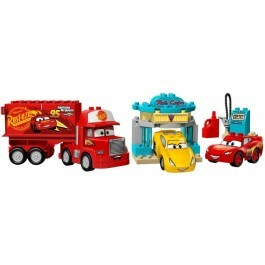 Disney•Pixar Cars 3 fans will love creating friendship stories with these iconic characters in Radiator Springs. 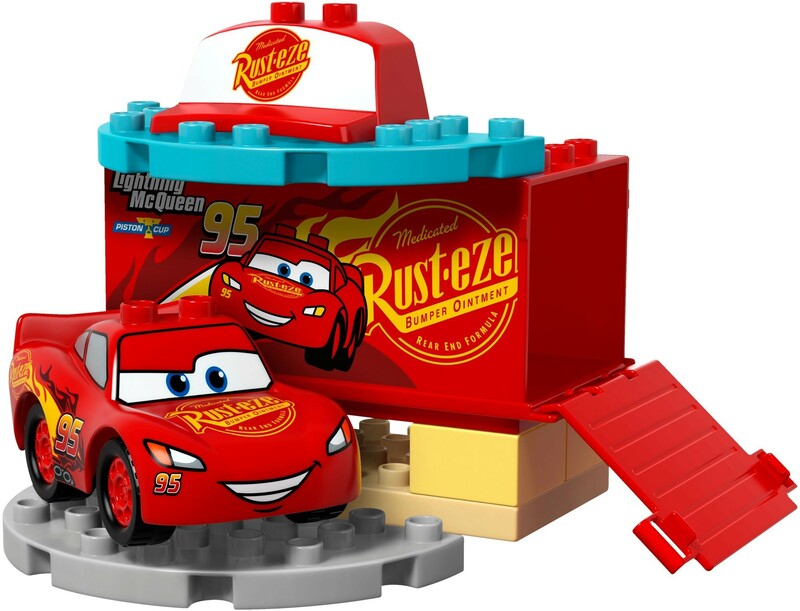 Help your young Cars fan develop fine motor skills building Lightning McQueen, Cruz Ramirez and Mack, and when they’ve all finished hanging out at Flo’s V8 Café, your child can fuel them all up at the gas pump. They’ll have endless fun driving Lightning McQueen up the ramp into Mack’s trailer and heading off to his next race. Flo’s V8 Café features a facade and gas pump. Includes bricks decorated as gas pump dials and a Flo’s V8 Café sign. Accessory elements include an oil can and a fuel pump. Encourage early role-play skills with these much-loved Disney•Pixar characters. Young children will love driving the cars around and creating their own racing stories. Open up Mack’s trailer to fit one of the cars inside. 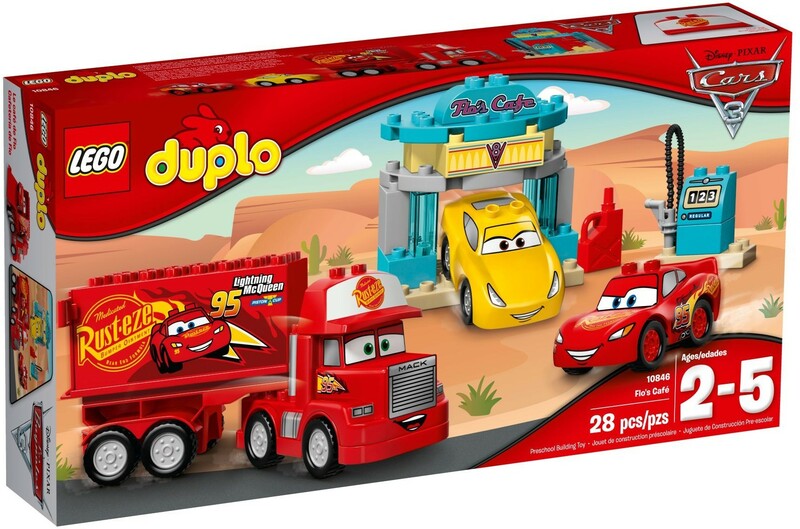 Help your child master basic construction skills with this fun model that young Cars fans will love to build and rebuild into different scenarios. Lightning McQueen and Cruz Ramirez each measure over 1” (5cm) high, 3” (9cm) long and 2” (6cm) wide. Mack measures over 4” (12cm) high, 10” (26cm) long and 2” (7cm) wide. Flo’s V8 Café facade measures over 5” (13cm) high, 4” (12cm) wide and 2” (6cm) deep.